How appealing is Colin Firth!! I think many of you would agree that he is a very captivating combination of handsome, talented and charming – doesn’t get much better. And I was thrilled, but of course not terribly surprised, when he won the Oscar last weekend. So, in his honor, my movie pick this week is a somewhat under-the-radar film of his, that I serendipitously found years ago and loved. 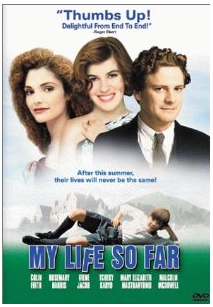 Released in 1999, My Life So Far, is a charming coming of age story based on Sir Denis Forman’s childhood memoirs “Son of Adam”. Forman was a TV executive in England, responsible for such programs as The Jewel in the Crown and then served as deputy chairman of the Royal Opera in London. 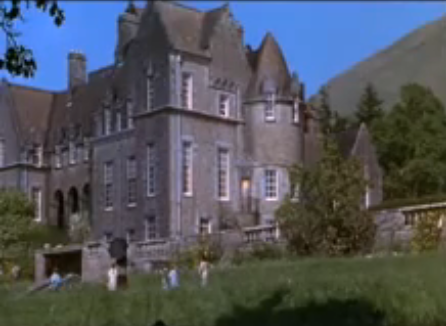 This delightful film tells of the multi-generational Macintosh clan and their life in Kiloran House, a castle like estate in Argyll, Scotland in the late 1920’s. Seen through the eyes of adventurous 10 year old Fraser Pettigrew, life in this Highland house seems idyllic, at least at the beginning. In reality this is a family of oddballs. Colin Firth plays Fraser’s father, a kind and loving but eccentric inventor, obsessed with Beethoven and aviation, who runs the Sphagnum Moss Factory, the only one in existence, for good reason. His wife Moira (Mary Elizabeth Mastrantonio) has given up her burgeoning opera career to stay at home with their expanding brood and her mother, Gamma Macintosh (Rosemary Harris), rules the estate with an iron fist. 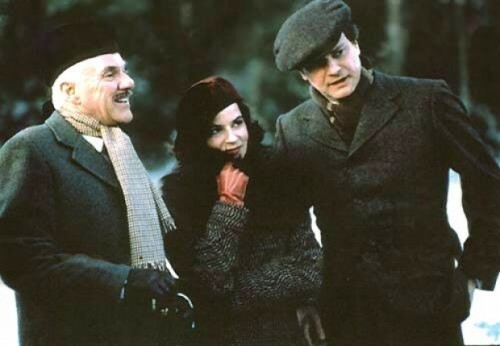 The trouble starts when Moira’s brother and heir to the estate Morris (Malcolm McDowell), comes to visit with his much younger, beautiful, cello-playing fiancée Heloise (Irene Jacob). Fraser is instantly smitten and so unfortunately is his father. Fraser’s increasing awareness of the larger world beyond the walls and fields of Kiloran is what provides the film with its humorous and poignant moments. Directed by Hugh Hudson, of Chariots of Fire fame, the film’s cinematography of the Scottish highlands is beautiful as are the period costuming and art direction. You really see the world through Fraser’s eyes and appreciate not only his cosmopolitan discoveries (mostly in the attic) and maturation but his father’s as well. And that of course is the point! Here is a trailer for the film – it’s a bit long so watch what you like. And when you have time, be sure to watch the entire movie – it’s a charmer, just like Mr. Firth. This entry posted in entertainment, film. Entry Tags: Hugh Hudson, Irene Jacob, Malcolm McDowell, Mary Elizabeth Mastrantonio, My Life So Far, Rosemary Harris Bookmark the permalink. I love Colin Firth, I’ve had a crush on him for years. I just heard about one of his other movies “a single man” that I’m hoping to watch this weekend. Love him! I loved this movie…all things Scotland for me. Colin Firth is just such a fabulous actor and seems to have such good character that you can see it in every movie he has ever done. I loved “A Month In The Country” but he also made a terrific and very believable Mr. Darcy, didn’t he? Love him! He is amazing in all of his films. This looks like a cinematic gem! Mr. Firth and a charming story line. Adding to the que! How did I miss a movie that Firth has apart in? I will find this for certain, q.
I hoep that you have a wonderful weekend. You know I agree with you 100% about the charming Mr. Firth. This film looks like a charmer, too. I’ll have to add to the list! Can you believe neither one of us has seen this??? It just went on the Netflix list, with thanks to you! Sending wishes you have a wonderful weekend! little gem to add to my collection! Have already popped over and hit “save” in Netflix :) Even without the dreamy Firth I would have been in. Period piece set in Scotland, say no more. 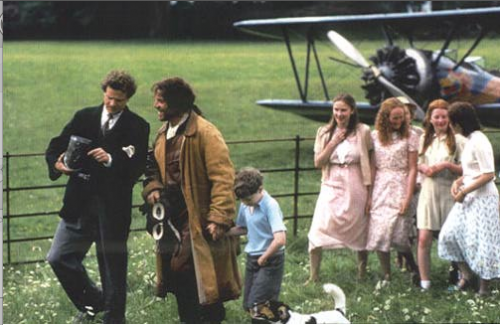 I have always loved Colin Firth since he had a small part in a television production of “The Secret Garden,” this had to be twenty years ago. I can’t remember what channel it was on but I watched it on video repeatedly with my daughters. He was the grown-up version of the main male character. So dashing! And of course the A & E production of “Pride and Prejudice” sealed the deal. Also “Bridget Jones.” I will definitely rent this movie, thanks for bringing it to our attention! I don’t believe it, a film with Colin Firth in it that I have not seen! This ones going straight on the wish list. What intelligent women does not have a crush on Colin Firth?? Definitely watching this one. I was thinking about getting a movie to watch this weekend but I’m tired of watching boring movies… so, this is it! I’ll try to find it! I just realized that I didn’t have a chance to read your movie recommendation today and am in need of something for this weekend! This gem is right up my alley (Colin – sigh!) but alas, Netflix does not have the DVD in stock and it seems like it’s MIA. Perhaps I’ll bite the bullet and just buy it on Amazon! Looks right up my alley! I get lost in all of the BBC classics that have 6-8 episodes (off of Netflix). Going to definitely put this on in my “queue”!! Our next move is supposed to be Scotland so I will dream away looking at the landscape. Thanks! Funny thing I barely see any films but most of what you post I have! You bring back wonderful memories. concretejungleblogspot.com I do appreciate it and do read your blog as reegiously as possible….the wines etc. very interesting always! If there is anything I love more than watching French movies is period movies especially those set somewhere in England. I hope you had enjoyed your weekend. How is it possible that I don’t know of this movie! Adding this immediately to my Firth Film Fest (in my head :) ) love this man/actor so much…just know I will adore this movie as well, thanks for all the great film recs…have now watched Matt Damon in Mr. Ripley…finally, and enjoyed it thoroughly, on to the next! This sounds like a charmer. Must add to Netflix queue! 79 queries in 0.429 seconds.